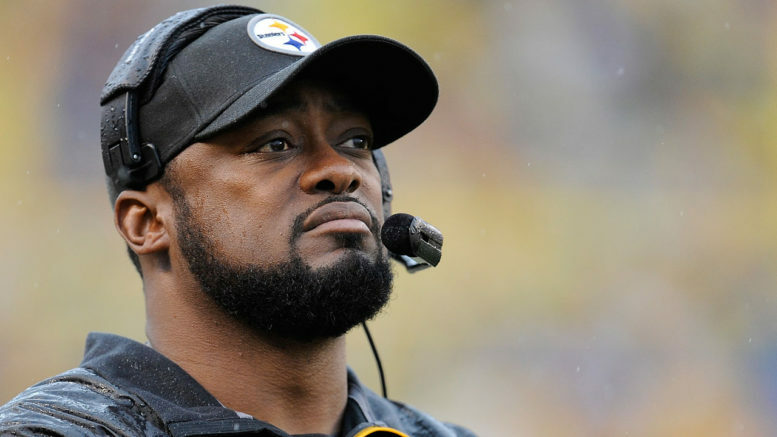 Can Mike Tomlin and the Steelers return the favor to the Patriots in the 2016 AFC title game after New England won 2001 and 2004 AFC championship tilts in Pittsburgh? I’m not a bookie, and I don’t play one on TV. I’m not perfect, and I don’t pretend to be perfect in real life. But when it comes to picking NFL games for the 2016 season, I’ve been almost flawless in racking up a 43-17 record (71.7% success rate). So what is setting me apart from the so-called “experts” over at sites like CBS and ESPN? I’ll let you in on a little secret: I’m somewhat of a conspiracy theorist, and I’ll never apologize for it. I’m sorry, that’s just the way I am… (Props if you can figure out the TV reference). Purists will tell you that games are won because one team or a group of players is better than its counterpart(s). There is no mystique or aura, no higher power that determines the score of a sporting event. And while these are points that cannot be argued, why argue with success, either? I’ll delve a little further into it as I take a preliminary glance (but no predictions yet) at the conference championship games. Before I give you some reasons about why the four teams might win this week, I’ll let you in on my thought process from the divisional round, when I went a perfect 4-0 ATS, and I have unofficially picked all eight winners correctly this postseason. First off, did you really think both No. 1 seeds would get to the Super Bowl for a fourth straight year? Prior to 2013, the NFL had endured a 19-year stretch in which the top seeds in both conferences had met only once (in 2009). Dallas was a perfect one-and-done candidate, with a leaky defense and a rookie quarterback (who, in fairness, hardly looked or played like a rookie). The Packers are playing with house money and a second life after rolling over and playing dead at midseason, when they were given up on at 4-6. So, picking the red-hot Packers, even as a four-point underdog, seemed quite logical. And, one final thought on the Packers that will bring my “conspiracy theory” full circle. It had become well documented in recent weeks that, in his nearly 11 full seasons at the helm, Green Bay head coach Mike McCarthy had lost five — FIVE! — postseason games on the final play of either the fourth quarter or overtime. Can you believe that? A Super Bowl-winning coach who is one of the longest-tenured in the business has had this many gut-wrenching January losses? So isn’t it fitting that, even though I predicted it a week too early, he finally ends up on the winning end of a game decided with the clock expiring? Because I don’t feel the need to explain anything regarding the Texans-Patriots mismatch, I’ll wrap things up by talking about the Seahawks-Falcons and Steelers-Chiefs tilts. On Atlanta: did you really think a quarterback as good as Matt Ryan was going to be 1-5 in postseason play? Even 2-4 seems like a stretch, but Ryan, whether you agree or not, is an elite quarterback in the NFL. His past January losses were all to quarterbacks who either went to or won the Super Bowl that same year, so it’s not as if Ryan was flat-out choking in those spots. On Pittsburgh and Kansas City: even if you don’t think that regular season games translate to January, weren’t you at least slightly concerned about how badly the Steelers dismantled the Chiefs back in Week 4? That even if you took away all the ridiculous things Ben Roethlisberger did to KC’s defense, would you still feel confident that the Chiefs’ conservative offense could pull its weight against Pittsburgh’s red-hot defense? This may sound like hindsight, but given my 4-0 record in calling my shots beforehand, it was also foresight. To quote Mike Tomlin, “obviously” I knew that the Alex Smiths of the world rarely beat the Ben Roethlisbergers or Tom Bradys at this time of year. We were overdue for a Steelers-Patriots AFC title game that football fans have fortunately been spared from for nearly the past dozen years. Plain and simple, it was going to be Steelers-Patriots, especially when you consider that on five occasions (2005, 2007, 2010, 2011, 2015) since that 2004 meeting, we were just one win from only one of the two teams away from another showdown. –The last time that both road teams (let alone any road teams) won on championship Sunday? That would be 2012, when the 49ers and Ravens beat — you guessed it — the Falcons and Patriots. What are the odds that lightning strikes twice? We are much more likely to have the script flipped this time around. Also consider that in 2010, both the Falcons and Patriots lost at home coming off a bye in the divisional round. Perhaps their playoff fates are destined to be parallel once again. –For whatever reason, in terms of seeding combinations, 2 vs. 4 always seems to favor the 4s. That would be good news for the Packers, of course, who hope to follow in the footsteps of the 1992 Bills, 1997 Broncos, 2000 Ravens, 2011 Giants, and 2012 Ravens. All six of those teams upended a No. 2 seed in the conference title game, with all except for the 1992 Bills going on to win the big game. –With both of these games being regular season rematches, it means that 9 of the 11 playoff games will be rematches, tying 2004 for the most ever. Of the first seven rematches, the team that won the first game lost the second meeting on four occasions, while three teams completed the sweep with playoff wins. The Falcons beat the Packers, 33-32, at home back in Week 8, while the Patriots beat the Steelers in Pittsburgh, 27-16, in Week 7, although the Steelers were without Big Ben. One of the first things I take into account, paying homage to my classic “due” theory, is the playoff history of both clubs, both individually and head-to-head. In the case of Green Bay-Atlanta, it’s a bit of an odd one. This will be the fourth playoff meeting between the two teams, with all three previous games being decided by at least three scores. The road team has won the last two in blowout fashion. The Packers trouncing the Falcons in the Georgia Dome, 48-21, en route to winning Super Bowl XLV in 2010, and Michael Vick and the Falcons handed Brett Favre and the Packers their first ever playoff loss at Lambeau Field in 2002 with a 27-7 rout. In 1995, the Packers beat the Falcons at Lambeau, 37-20. So are we due for the fourth and final option – the Falcons winning a playoff game at home? Perhaps. The Falcons are the only remaining team that has never won a Super Bowl, only previously appearing once in 1998. In terms of the due theory, how about the Packers simply being due to lose after rattling off eight straight wins? Is Green Bay as good as their 8-0 stretch indicates, as bad as their four-game losing streak made them look, or somewhere in the middle? The Falcons lost a heartbreaker to the Chiefs in Week 13, but have won five straight since. I’ve got to believe that as tempting as it sounds to the casual fan to expect a Packers-Patriots Super Bowl, that Green Bay can’t possibly keep riding this wave against a lethal offense in front of a raucous Georgia Dome crowd. Falcons fans are hoping for a better fate than the last team to play a conference title game in the final game ever in its stadium, the 2002 Eagles. That Philly team was beaten soundly by the Buccaneers, 27-10, to close down Veterans Stadium for good. Matt Ryan being 2-5 in the playoffs still doesn’t sound right. But will Aaron Rodgers and the Packers really lose another conference championship game? The Packers inexplicably choked away a late fourth-quarter lead of 15 points two years ago, and as a franchise overall have lost two of the past three NFC title games they’ve played in. Atlanta has lost two of its three conference title games ever. Since the world has been waiting quite a while for this showdown, is it fair to bring up 2001 and 2004? Those were AFC title games that the Patriots won on the road in Pittsburgh. In 2001, Tom Brady left early with a high ankle sprain and Drew Bledsoe led the Pats to victory. In 2004, Ben Roethlisberger was a rookie who came in 13-0, but New England trounced the Steelers, 41-27. Now, do you think the Steelers are going to return the favor in New England? Pittsburgh went through a run where it couldn’t seem to win AFC championship games, but has since rectified that problem with three consecutive victories in 2005, 2008, and 2010. The first of those came on the road in Denver, with the last two coming at Heinz Field. But there has always been one constant theme for the Steelers lately when it comes to getting to the Super Bowl: they only find a clear path when New England isn’t in it. They will have no such luck in 2016. There are even more compelling due theories at play in the Patriots’ favor here. Love ’em or hate ’em (you know where I stand), New England is the league’s model franchise, with this being the Patriots’ NFL-record sixth consecutive title game appearance. Had they been, say, 4-1 or 3-2 in their past five, you might be able to foresee a loss. But considering they lost last year and have dropped three of the past four, it is almost impossible to see New England and its suddenly-dominant defense losing another one of these title games at home. It doesn’t figure to be 45-7 like it was when the Patriots deflated the Colts’ hopes in 2014 (sorry, I had to), but like Green Bay, are the Steelers really as good as their nine-game winning streak would have you believe? Pittsburgh isn’t likely to follow the lead of the 2006 Colts, the last team to win a playoff game without scoring a touchdown, by winning its seventh Lombardi Trophy. But that doesn’t mean this won’t be a close game. After all, the NFL has been waiting a dozen years for this game and won’t stand for another 45-7, fake-drama-less title game. Just don’t expect Roger Goodell to be in attendance, even if this is his dream scenario. Be the first to comment on "Revealing the Magician’s Secrets – How I’m Acing the NFL Landscape in 2016"